I, Liam Wandi, have been writing The Part Time Grappler Blog for a few years now, which is more than I ever anticipated. I initially started it as a platform for me to both jot down a few ideas on how I think Part Time Grapplers need to tailor their training and also show others in the same boat that we are indeed the majority of Grapplers out there. Today, the blog has become a huge success that has allowed me to interview the greats of the sport and learn their grappling- and time ... See More management secrets. Let's listen to what they have to say. BJJ Private lessons? Ask These Questions First! How to get really good at jiujitsu, really fast! The 6 steps of Deliberate Practice. How many times will you spar before reaching the black belt? Part Time Grappler Podcast Episode 3: Trust me...Move your hips! 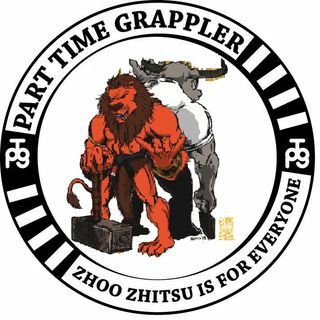 Part Time Grappler Podcast Episode 2: How to problem-solve better in jiujitsu using "Re-framing & Re-phrasing"
Part Time Grappler Podcast Episode 1: How it all started, and how many times can I say "podcast"?